FICA acknowledges the amount of work that has been done, and that a step forward has been taken, by the ICC and various country Boards in formulating and agreeing a Test league and ODI league. FICA remains concerned however that, as part of the changes, the new overall cricket structure does not address existing weaknesses and imbalances in the global playing landscape, and the need to ensure an appropriate balance between international cricket and the domestic T20 leagues. “Whilst some of what ICC has now agreed is positive, notably in regard to the ODI league, we feel that the game has missed a significant opportunity to provide real clarity and consistency to the overall global structure,” said Tony Irish, Executive Chairman of FICA. FICA welcomes the introduction of the proposed ODI league and in particular the fact that the number of matches is clearly regulated to ensure the volume of cricket is controlled and that matches without context are not played outside the league structure. Whilst FICA acknowledges some context has now been introduced into Test cricket it is clear that optimal change has been restricted by the fact that context is being wrapped around existing bilateral scheduling arrangements instead of the other way around. 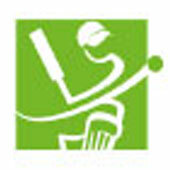 FICA believes that regulation in the Test structure to ensure clarity and consistency doesn’t go far enough. FICA notes that four day Test matches will not be part of the Test league.